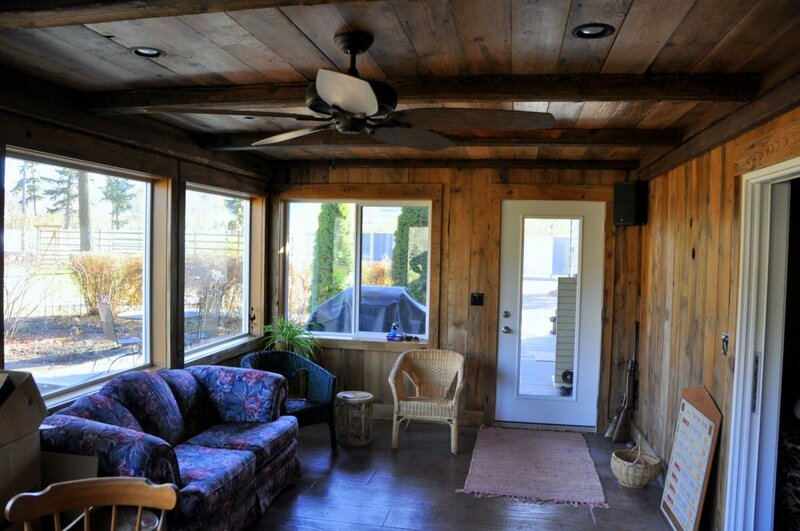 Sun room ceiling and interior walls make use of recycled 6×8’s from 1920’s log home and 1×8 boards from 1950 chicken barn. 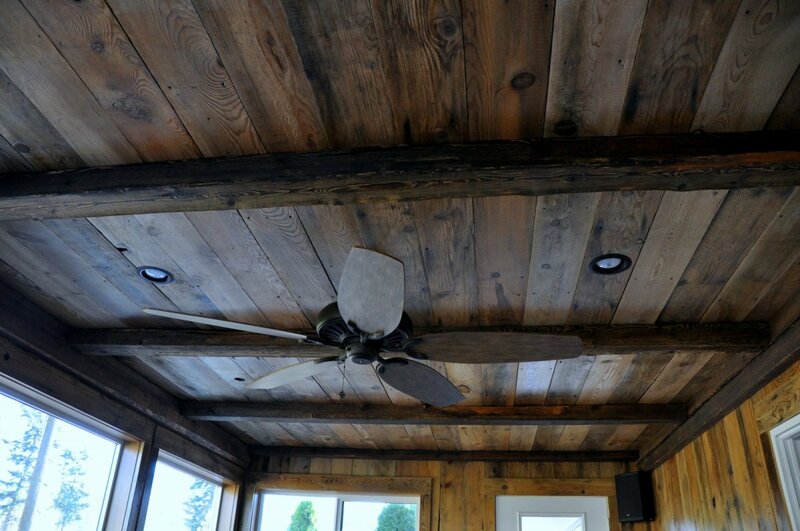 Sun room ceiling and interior walls make use of recycled 6x8's from 1920's log home and 1x8 boards from 1950 chicken barn. 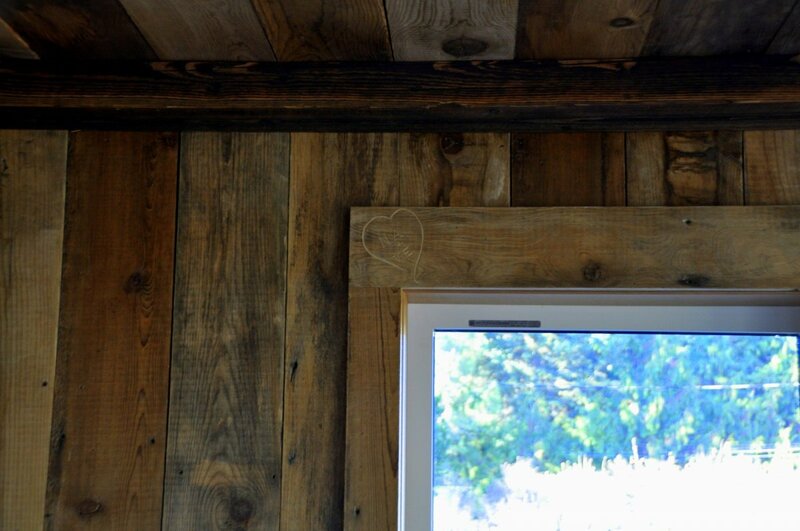 Carved heart and initials for this long married couple.